If you are looking for a way of unblocking BBC iPlayer then you are in the right place. There’s not many things more frustrating then being greeted with a blank screen when attempting to watch your favorite program. Over the past year or so BBC have tightened their restrictions, leaving many people with a VPN that does not unblock iPlayer. By using the right VPN service for iPlayer, you can get around this problem in minutes. Read on to find out what the best VPNs for iPlayer are so you can unblock BBC iPlayer wherever you are and whenever you want. BBC iPlayer is an online streaming service that offers a variety of content – from live television and radio shows to on demand movies and other additional content. BBC iPlayer is extremely popular but there is a catch – its content is only available to those located in the UK. Fortunately, at VPN Analysis, we have a solution: use a VPN to access BBC iPlayer from anywhere in the world. When you use a VPN for iPlayer, you’re able to spoof your location. If you’re in the US, you can connect to a UK server and BBC iPlayer will be none the wiser. Sadly, finding the perfect VPN for unblocking BBC iPlayer can be a pain. Not all VPNs will do the trick. This is where our team of VPN experts come in – we do the hard part for you. What are the best VPNs for BBC iPlayer? ExpressVPN is a VPN provider based in the British Virgin Islands that offers an excellent service to its users. To start, ExpressVPN provides users with excellent military-grade OpenVPN encryption, a strict privacy and no logs policy and DNS/WebRTC leak protection. Additionally, ExpressVPN offers 90+ server locations with fast speeds to go along with them – excellent for accessing BBC iPlayer – and “stealth servers” located in Hong Kong for additional privacy. Additionally, NordVPN allows P2P activities and offers excellent server speeds for streaming BBC iPlayer. NordVPN also provides CyberSec anti-malware protection, a Smart DNS service, dedicated IPs (at an extra cost), a double VPN and a system kill switch. If you’re still hesitant to try NordVPN, you can rest easy knowing they not only offer a free trial – but a 30-day money-back guarantee as well. Additionally, CyberGhost provides excellent speeds on most servers (perfect for iPlayer), a kill switch, P2P allowance on select servers, Bitcoin payment options and free browser add-ons. If you’re still iffy on trying CyberGhost, you can always use their 7-day free trial or their 30-day money-back guarantee. VyprVPN is a VPN service with providers based in Switzerland that unblocks BBC iPlayer and offers 70+ server locations, 24/7 customer support, fast streaming speeds and excess features like its proprietary technology, Chameleon. VyprVPN provides you with five simultaneous connections and excellent OpenVPN encryption. Why Can’t I Watch BBC iPlayer? 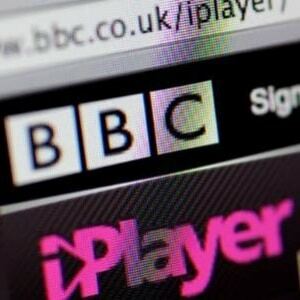 BBC iPlayer restricts its content to the UK only due to licensing and copyright limitations. This is nice for the UK, but it leaves the rest of us missing out on an amazing service. When you use an iPlayer VPN, you’re able to spoof your location to the UK. This lets you fool BBC into thinking you’re accessing its content from the UK – opening a realm of iPlayer possibilities. A VPN for iPlayer can also be used for a variety of other things. You can use an iPlayer VPN to enhance your digital security and privacy during everyday online browsing. You can combat internet censorship and government or ISP surveillance. You can even access other services with geo-restricted content like Netflix and Hulu. No, not all VPNs unblock BBC iPlayer. In fact, more VPNs DON’T unblock iPlayer than VPNs that Do unblock iPlayer. The BBC is aware of VPNs being used to access its content. They are constantly identifying and blocking IP addresses that are linked to different VPN servers. Fortunately, the five VPNs on this list are at the top of their game. They are continuously dedicating their time and resources to unblocking BBC iPlayer for your viewing pleasure. Do Free VPN to Unblock iPlayer? Even if you were to find a free VPN that unblocks iPlayer, the chance of you being able to stream its content without lag and constant buffering is extremely unlikely. This is because most free VPN services have usage and bandwidth limits. If you want access to BBC iPlayer and fast streaming speeds, you’re better off settling with one of the cheaper VPNs on this list. For a list of VPNs services with low prices take a look at our cheap VPN list. Although Free VPN services do not unblock iPlayer, many of them are useful. Take a look at our free VPN guide for more information. Are iPlayer VPNs legal and safe? Yes, iPlayer VPNs are both legal and safe. VPN technology is constantly used by individuals and business owners to secure data, encrypt connections and provide overall privacy and security with online browsing. For these reasons, VPNs will more than likely stay safe and legal. That being said, accessing BBC iPlayer’s content from outside the UK is against its Terms of Service. Although it’s extremely unlikely for someone to get in trouble for accessing iPlayer with a VPN, we’ve chosen VPNs with excellent privacy policies just in case. For more information about VPN services, take a look at our beginners guide. Can BBC iPlayer see if my name/address is on the TV license register? Yes, it is possible for the BBC to verify if your name is (or isn’t) on the TV license register. In the UK, watching BBC – and BBC iPlayer – without a TV license is illegal. For this reason, BBC has recently started requiring its users to sign up before offering them access to its content. How do I choose the best VPN for BBC iPlayer? Luckily, all of the VPNs listed in this article have most (if not all) of these features. Stick to our recommendation and you’ll be effortlessly streaming BBC iPlayer in no time at all. Choose a VPN on this list and click through to its website. Our recommendation is ExpressVPN, as it offers the best of the best – super fast speeds, excellent encryption and superb privacy implementations. Download and install the software. The VPN’s website will have specific software for each OS. Be sure to select the appropriate download file for your device. Open your iPlayer VPN. Navigate to your VPN’s settings and select the OpenVPN protocol. Select a server in the UK and connect. Find a UK postcode (use Google), choose a fake name and use a temporary or throwaway email address. Go to https://www.bbc.co.uk/iplayer and subscribe with your fake details from the last step. Select “Yes, I have a TV license”. You’re done! Enjoy accessing BBC iPlayer from anywhere in the world! With over 800+ VPNs to choose from, finding a VPN on your own time that unblocks iPlayer can take a lot of effort. Stick to our recommendation and the only thing you’ll have to do before unblocking BBC iPlayer is set up your iPlayer VPN. My expressvpn service does not allow you to play BBC iPlayer it comes up saying network not available, but i can log into websites so there is a network.